OUR MARE POWER - 1515425469s Webseite! Über ein korrektes Fundament und Gebäude hinaus, erwarten wir bei unserer Nachzucht den "Good Mind",denn nur mit klarem Kopf lässt sich ein gesundes Pferd auch leicht trainieren und ausbilden. Die Voraussetzung dafür sind unsere hochwertigen Stuten, es handelt sich um erstklassig gezogene mängelfreie Stuten, allesamt "Good Minded" und Herden kompatibel. Sie sind voll ausgebildet, im Non-Pro und Profi-Sport erfolgreich vorgestellt, oder weisen Money earnings o.u. AQHA Punkte vor. Einige unserer Stuten sind DQHA gekürte Elitestuten, Stuten-Schau Sieger bzw. Premium Stuten. Alle unsere Zuchtstuten sind auf Gendefekte getestet. Bedenken Sie, mindestens 70% der Eigenschaften wie Körperbau, Charakter, Gesundheit, gibt die Stute mit! Die passenden Hengste werden bei uns nicht in der Nachbarschaft gesucht, sondern weltweit nach fachkundigen Kriterien ausgesucht. Alt bewährte und neue, moderne Reining Blutlinien werden von uns fachkundig kombiniert. Auf unserer übersichtlichen Anlage erhält die Nachzucht beste Bedingungen um natürlich, gesund und mit viel Bewegung artgerecht groß zu werden. In kleinen Gruppen auf je 3 Hektar sind dies optimale Bedingungen. Die Tiere werden 3 mal täglich kontrolliert und versorgt, nur so ist eine individuelle Pflege möglich. Unsere Jungen sind allesamt menschenfreundlich, brav und umgänglich, von klein auf! Die optimale Aufzucht erachten wir als die Basis und die Grundlage für eine neue Generation erstklassiger, leistungsfähiger Sportpferde. Profitieren Sie von unserer langjährigen Erfahrung und unserem Wissen in der Quarterhorse Zucht. Suchen Sie Ihr Sportpferd bei uns, wir beraten Sie offen und ehrlich! We expect more than a proper foundation and conformation from our offspring we need beyond that the "good mind",because only with a clear head is a healthy horse good to work & trainable. The prerequisite for this is laid in our high-quality mares. They are all "Good minded”, pleasant in the herd and free of defects. Most are fully trained in non-Pro and successfully presented to professional sports, they have Money earnings. All of our broodmares are tested for genetic defects. Please consider, the mare gives at least 70% of the properties like physique, Character, health, with! The matching studs are not searched in the neighborhood with us, but they are chosen worldwide according to professional criteria. Old proven and new, modern Reining bloodlines are expertly combined by us. 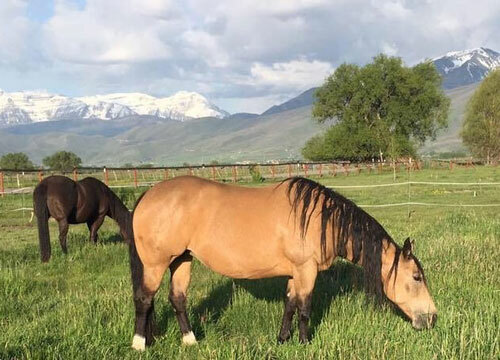 The offspring received on our clear grounds best conditions in small groups with a lot of movement to become natural, healthy and large horses. These are optimal conditions based on more than 8 acres. The animals be supplied and checked 3 times a day, that is the only possible way for a personalized treatment. Our youngsters are accustomed to people, good and affable, from the first days on! 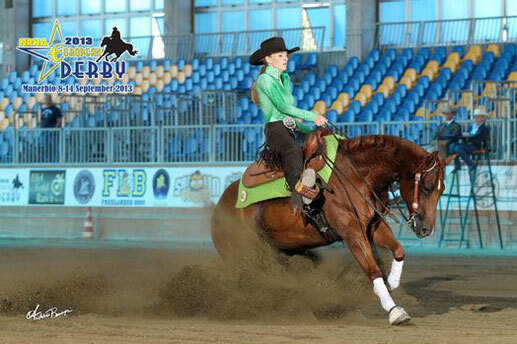 We consider the optimal rearing as the basis for a new generation of powerful and first class reining sport horses. 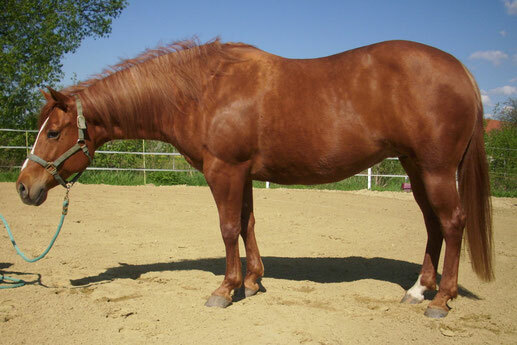 Benefit from our experience and our long-term knowledge in the Quarterhorse breeding.  Find your sport horse with us, we advise you honestly! 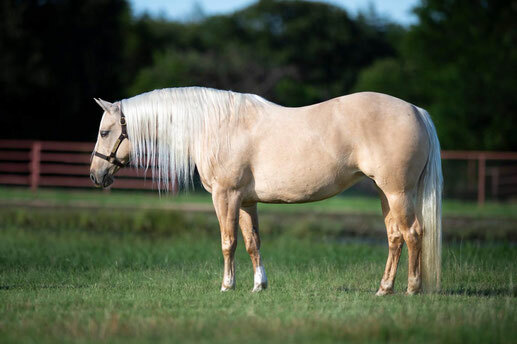 Electro Pep come in meantime to a Producer Mare, her first son won at NRHA Tulsa Pre-Futurity 2017, with 221,5. Her wonderful colt (Gunners Special Night) from 2017 is sold, also her wonderful HF Mobster Filly from 2018. Golonels Smokin Leigh, is European Futurity Finalist Pro 219,5. 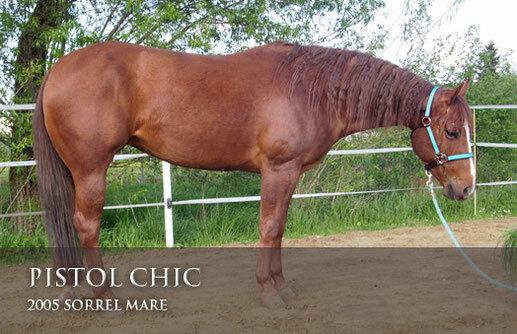 She is also a Producer Mare, her first son was NRHA Non Pro Futurity Finalist 2016. "Leche" had a lot of successful Shows with Sarah in the past, she was AQHA European Champion in Reining, Pro & Non Pro, European Derby Finalist, aso. Money Earner. She is reserve Champions Mare of the year 2016 DQHA. 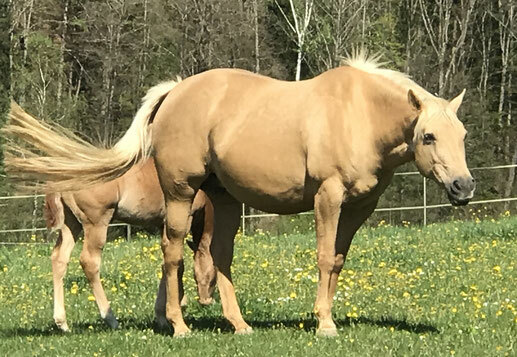 Bunny is a multiple Producer Mare, all her offspring are NRHA Money earners. Our fantastic Holly is in meantime a multiple Producer Mare, she got a wonderful "Inferno 66" Filly in 2018. Brenda, our Leading Mare was Futurity Reserve Champion 2007 Pro, with V.Schmitt 221,5, multiple Records and Earnings, she is also Producer Mare. Pistol out of the Barn from Steve Simon, she is in meantime also a Producer Mare. She got a very nice Filly from "Tinker with Guns" in 2018. Cody won with Sarah many Shows at youth, she was mostly ridden and trained by Sarah. She is also a Producer Mare. Champion Mare of the year DQHA 2016. She brought us a strong and healthy "Tricked out Spook" in 2018. She will be breed for 2020 with...........................?